Abstract: The second mesiobuccal canal in mesiobuccal roots in maxillary molars is a common finding in root canal treatments. Failure on the location of these canals is associated with a high rate of unsuccessful treatments of maxillary molars. Its prevalence has been assessed in several in vitro and in vivo studies, presenting variations according to the methodology applied, along with the population of interest. While the anatomy of these teeth is well defined in micro-computed tomography studies, the clinical management is a great challenge for the practitioner. The use of a dental operating microscope has rendered a better clinical outcome when considering the location and treatment of this canal. On the other hand, cone-beam computed tomography use is still controversial in the efficacy of MB2 canal location. The association of a dental operating microscope with troughing performed with ultrasonic tips is an essential step in this location. Moreover, sodium fluorescein might be applied for root canal location. 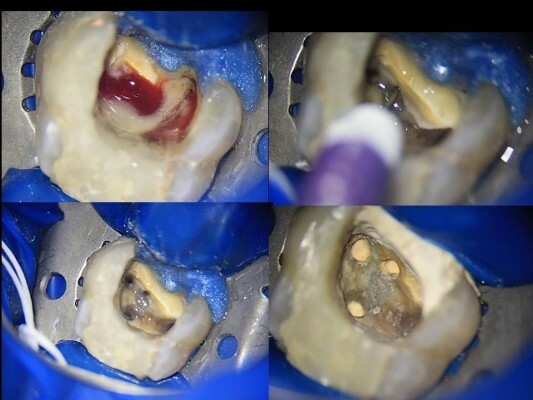 Due to the high rate of unsuccessful cases when the MB2 canal is not initially found, several cases are performed aiming to address the cases of missed MB2 canals. Therefore, the clinician should discuss the best possible approach, whether surgical or clinical. This article presents an overview of the importance of the MB2 canal on the outcomes of root canal treatments of maxillary molars. Solutions based in current literature will be presented accordingly.